Give Me Patch Notes and I’ll Give You Totems! As I’m sure many of you know by now, the PTR is live bringing with it a wonderous amount of changes to pretty much everyone. 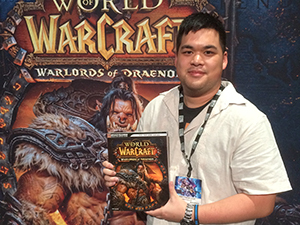 I’m going to focus today on a few things, Shaman changes and tier 10 set bonus for Restoration Shaman. First let’s take a look at the set bonuses for tier 10 Restoration shall we? 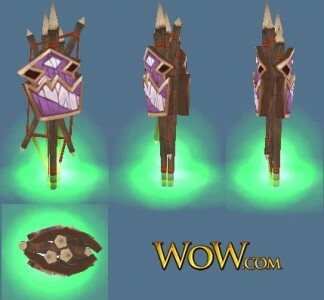 Shaman T10 Restoration 2P Bonus – Your Riptide spell grants 20% spell haste for your next spellcast. Shaman T10 Restoration 4P Bonus – Your Chain Heal critical strikes cause the target to heal for 25% of the healed amount over until cancelled. Hmmm, interesting set bonus. Two piece gives you more haste very much like how Tidal Waves reduces the cast time of your Healing Wave by 30%. Personally I love haste, and rolling Riptide should be a part of any Shaman’s normal healing arsenal so this set bonus really appeals to me. The four piece bonus is also very intriguing. The wording is a little weird and so it will have room for interpretation. Is it placing a HoT on a target for 25% of the amount healed similar to how Earthliving Weapon places a HoT on the target? Will it give an instant heal for 25% of the total? My moneys on a HoT. Personally I like these set bonuses. I think they are solid additions to our repertoire. Looking at them though we can take a guess at what type of damage we’re going to be seeing… I’m guessing lots of raid damage. Giving us haste, adding an additional heal component to our chain heal this just screams to me tons of raid wide damage (thoughts of Sun Well suddenly jump to mind). Now I’m looking forward to the aesthetics of the set. Hopefully we wont look like a mix between bugs and sand people. So our set bonuses are shaping up nicely (which is pretty par for the course for us at this point). Lets swing our attention over to the patch notes shall we? Not much is changing as of yet, of course as you know that may or may not change. For now though here are the bits though. Mi kamagra 100 in farmacia svizzera hanno prescritto un antistaminico poi successivamente il cortisone. Potrebbe viagra generico e similares essere un particolare tipo di grasso, oppure anche un fattore di crescita in esso contenuto e assente nel latte artificiale. Orc and troll shamans now have their own unique totem art. * Fire Nova Totem: This totem has been replaced with a new spell, Fire Nova, which is available at the same ranks as the old Fire Nova Totem. 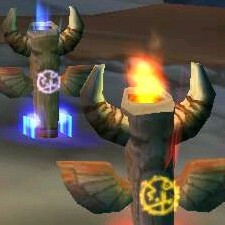 Existing characters will automatically learn this new spell in place of the totem. With a Fire Totem active, shamans will be able to use Fire Nova (fire magic) to emit the same area-of-effect damage as the old Fire Nova Totem from the active Fire Totem, not consuming the totem in the process. Fire Nova will activate a 1.5-second global cooldown when used and has a 10-second spell cooldown. The caster must be within 30 yards of the totem to use this ability, but does not need to be within line of sight of the totem. I’ll leave the totem art aside for a second, first lets talk about Fire Nova. This one is… interesting. Basically getting rid of a totem that some of us were using to help with AE damage in fights like Thorim’s arena. It lets us not have to cast a different totem, but instead we can center an AE spell off our current fire totem. This still requires you to run into melee and drop said totem, but it’s a nice touch. I can run in set my totems and then when needed blast out some AE damage to help thing the gaggle of bad guys we’re killing. I’ll have to play with it more, but so far so good. The Orc one is pretty gnarly. Not only is it a totem but it can double as an axe! It seems to fit to me. Trolls are pretty cool too. Troll fetish hung from the totems looks like the shadow hunter’s totems in WC3. All in all pretty good job. Now if I may I’d like to take a second to rage about another set of totems. 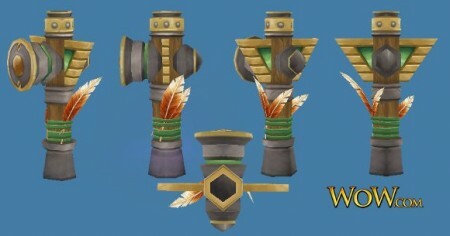 The Dwarf Shaman Totems. Now I know that Cataclysm (or at least 4.0) is a while away, they… bother me. So… why can’t Dwarves get something stone related? I mean think about it. They live in the mountains, they have a racial ability called Stoneform, they are known for their Gryphons, but only one clan (Wildhammer) and they aren’t playable, but we hear about is how they are awesome miners. Sure we hear about their forges and smithy’s but I think the totems could be a bit better suited to the race (read more metal/stone and less wood please). Don’t get me wrong. I’m happy I can finally be a Dwarf Shaman. I’ve wanted to be a Dwarf Shaman for a long long time. I thank Blizzard for that, but that doesn’t mean I won’t weep a little bit every time I drop a set of hammers on the ground. Trolls and Orcs won out with some pretty good totem design and Tauren get to be unique snowflakes again with theirs. Overall I’m happy with it. Giving each race’s Shaman’s a unique totem is a good step. 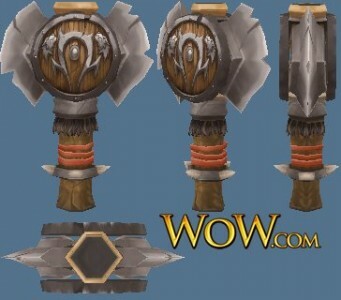 But if Goblin Shaman get cool looking gear totems, I don’t know what I’m going to do. Maybe throw my hammer at them. Maybe cast Wrath of Carpentry. Although maybe I can rename myself Captain Hammer and invite people back to my Hammer Cave to show them my Hammer…. So what do you guys think so far? 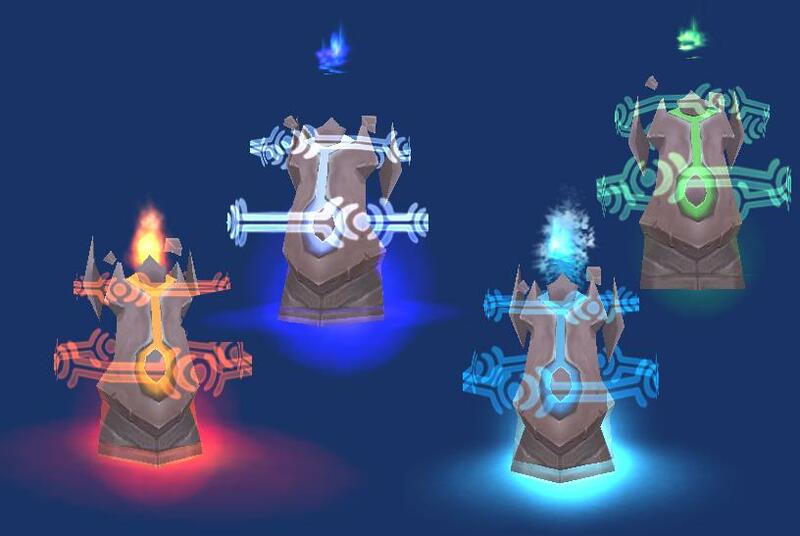 Like the new totems, dislike the new totems? Like the set bonuses?